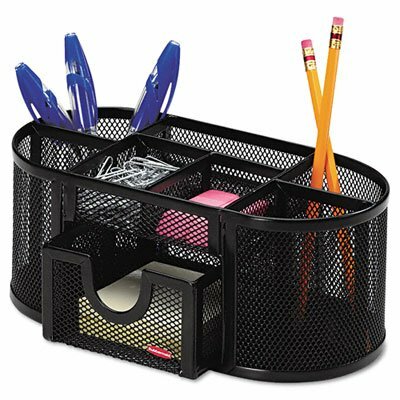 Mesh Oval Pencil Cup holds more than pencils. Five divided compartments allow you to organize all your writing instruments. Two additional shallow compartments hold clips and other supplies. Small notched supply drawer holds 3” x 3” notes (sold separately).